Activity stream for all registered members at PrinterKnowledge. Ink stained Fingers liked The Hat's post in the thread Picture Of The Week (POW) Information and Submissions. sumi liked The Hat's post in the thread Picture Of The Week (POW) Information and Submissions. palombian liked steven.va's post in the thread My MAXIFY 5350 is on refill ink. pearlhouse replied to the thread error b200. Artur5 replied to the thread My MAXIFY 5350 is on refill ink. websnail replied to the thread Pro-100, want to use 3rd party inks, what's next?. websnail replied to the thread Silver Bullet for clogged printheads. 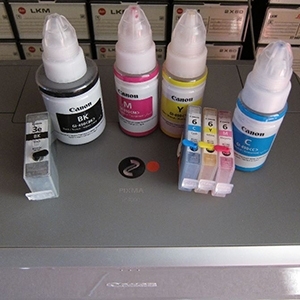 websnail liked Paul W.'s post in the thread can't reset cartridges for my Epson 1400.
rodbam liked Paul Verizzo's post in the thread CLI-42 cleaning fluid. rodbam liked drc023's post in the thread Pro -100 Starting use of refilled carts. rodbam liked The Hat's post in the thread Pro -100 Starting use of refilled carts. drc023 replied to the thread Pro -100 Starting use of refilled carts. drc023 replied to the thread Pro-100, want to use 3rd party inks, what's next?. stratman liked Dae's post in the thread Epson R3000 PK cartridge not recognize.